Sera MeyTsangpa Khangtsen has produced many scholars and practitioners who have worked for the development of the teachings and benefit of all beings, among the five hundred monk scholars of Sera Mey Tsangpa Khangtsen, only fifteen were able to escape to India. However, due to the harsh climate and unfavorable conditions in India, they could not stay together for want of better livelihood and facilities. During the difficult period of rebuilding Tsangpa Khangtsen after coming into exile, Eventually only five monks escape from Tibet includes Ven. 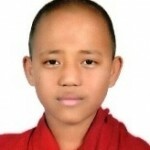 Lobsang Palden, Geshe Losang Monlam, Geshe Gedun Gyaltsen, Geshe Tenzin Wangdak, better known as Gen Lhakpa la and Geshe Thupten Rinchen. Five of them went door to door in Tibetan communities to get young children to join Tsangpa Khangtsen. With the hard work and selfless dedication of these monks, Tsangpa Khangtsen now accommodates more than 170 monks. Tenzin’s has three elder brothers and a sister. 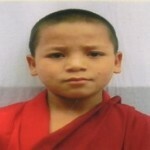 Currently he is studying at primary school at the monastery. Choephel has three elder brothers and one elder sister and one younger. He studied till grade 3 and drop out from school due to parent’s inability to pay the fees on time. His Father works as a Construction worker and take care of his family, his Mother due to her alcoholic problem, could not take care of the children. 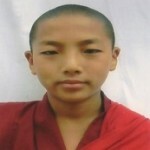 One reliable monk from Sera Mey Monastery admitted Choephel to the monastery, please support monk Choephel. Parents are doing agricultural work and sustain of their family’s livelihood. He has four brothers and one sister. Joined the monastery to learn Buddhist philosophy. Studying in Sermey Thoesam School. Lhundup both parents are from Bhutan and fled to Tawang as refugee. His father is a painter and sometimes go for a construction work. His parents divorced and father is taking care of Lhundup and his younger sister. 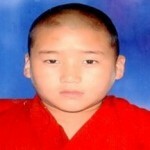 Lhundup studied till 5th grade and was sent to the monastery by his father.